Estate planning is for everyone! People often avoid it for various reasons, but it is an important thing for your family. There is no cost and child care will be provided. If you have any questions, contact Jeff White, Administrative Minister, x110. Spring is near! If you are interested in serving on this year’s Lawn Care Team, contact our Facilites Manager, Steve Dennis, x120 or sdennis@chjoplin.org. 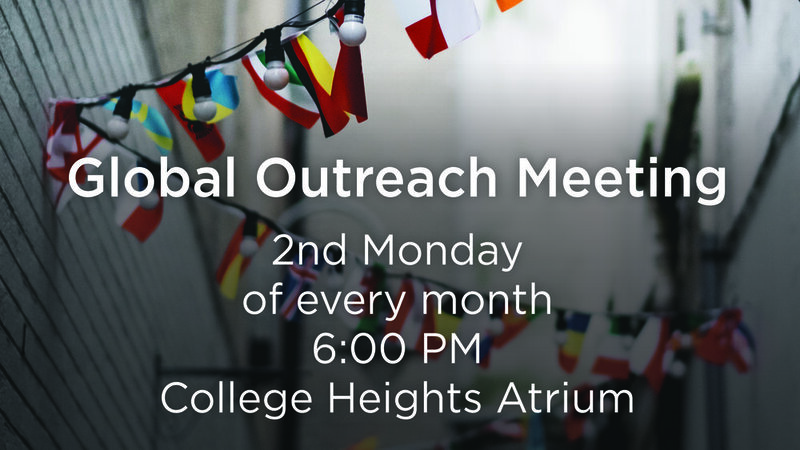 Join us to learn about what God is doing among people groups around the world. Dinner is served at 6:00 PM and is $1. Children ages 2-12 will enjoy the GO KIDS Program. Gerri Kerby will our guest speaker for Primetimers senior adult lunch. She will be speaking on “We’re off our Rocker!” Come and enjoy her humor and great fellowship. Lunch is $5.00 per person. Sign up at the counter in the Atrium.